Just like with people, a dog's caloric needs vary widely depending on a host of factors - most importantly age, weight, and activity level. Our veterinary nutritionist, Dr. Shmalberg, has developed a formula that we use to calculate the expected caloric requirements of your dog. By visiting our online profile, you can simply enter your dog's age, weight, and activity level, and find what your dog's caloric needs are. On NomNomNow, we portion out your dog's meals so they get exactly the number of calories they should every day. 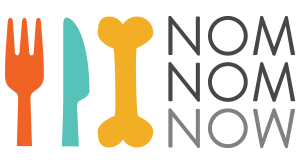 Of course, because there are variances between breed, dogs with certain health histories, and even individual dog, we enable all NomNomNow customers to provide constant feedback in their online profile, and can adjust your dog's portions instantly.